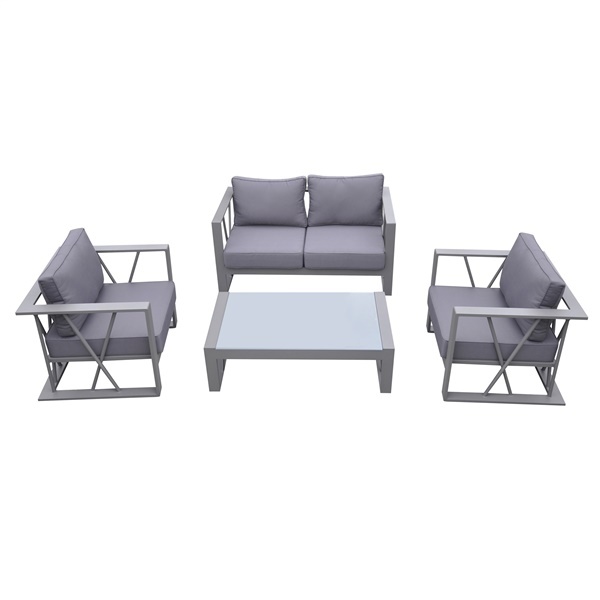 This handsome 4-piece outdoor set is named St. Barts and it’s from Armen Living. This beautiful set comes with a loveseat, coffee table and two armchairs. This practical and elegantly designed set features lightweight and dependable aluminum frames. The loveseat and chairs offer comfortable and plush seat and back cushions, and the table’s white glass top enhances its beauty and elegance. This 100% waterproof set is ready to give you years of use.